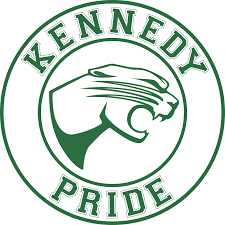 The Kennedy PTO provides a 501(c)(3) tax exempt legal framework to support or enable many of the well known programs that define the Kennedy Middle School community identity, such as the drama and music programs and 8th grade graduation events. We thank the many community members who have already contributed to dedicated fundraising events supporting these programs! None of this can happen without your support and generosity, and we’re looking to raise up to $30,000 to support these great programs. Please consider whatever generous contribution fits your personal financial situation, whether it is $25, $100, $500, or $2000 . Every dollar helps! The PTO pays no fees with PayPal Giving Fund so this is the most cost effective method. We can use all of your donation to support our programs. You must have a PayPal account to make your donation this way. Your donation will be technically made to “Paypal giving fund”, which will in turn give it to the Kennedy PTO (at no fees or other cost of any kind). You can use your credit or debit card to make a donation online but we pay a small fee so use this if you are not able to use PayPal. and drop it in the PTO box located in the school office, or mail to: Kennedy PTO, 2521 Goodwin Ave., Redwood City, CA 94061. Please email treasurer@kennedcougarspto.org if you need a receipt for your taxes or if your employer can match your donation. All donations are tax deductible. Tax ID: 47­1431115.